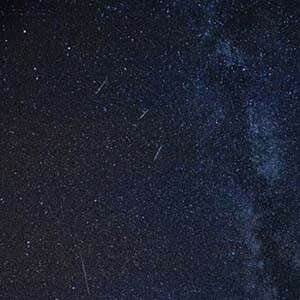 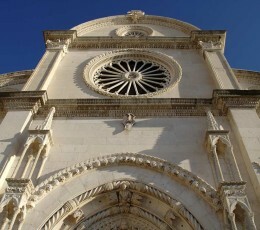 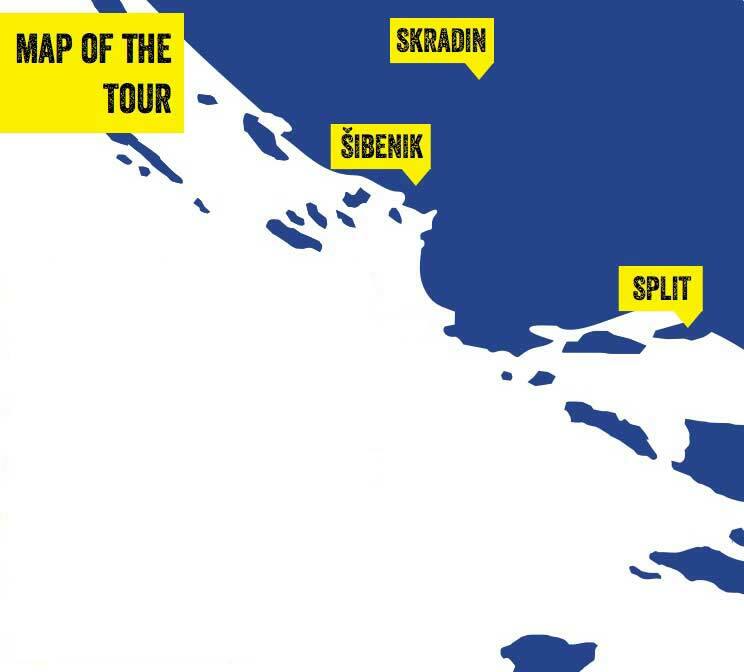 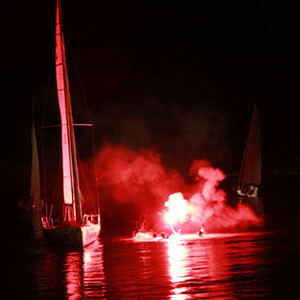 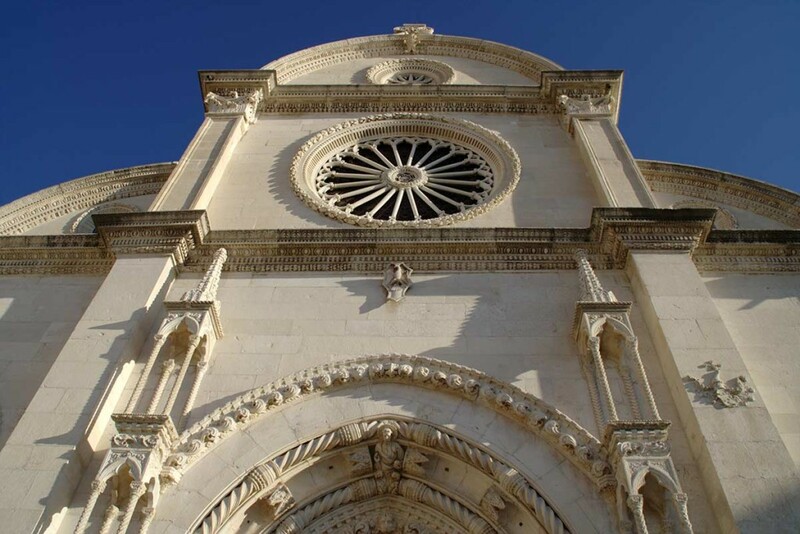 After exploring beauties of Split you should experience something completely different. 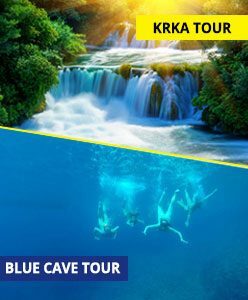 We are taking you to one of the most amazing places where you will be amazed with beauty of nature and relax in a serene pool of a green&blue water. 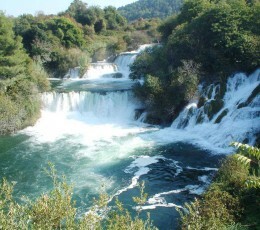 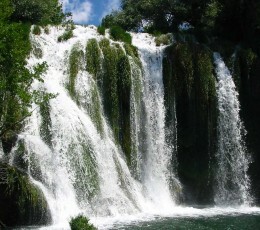 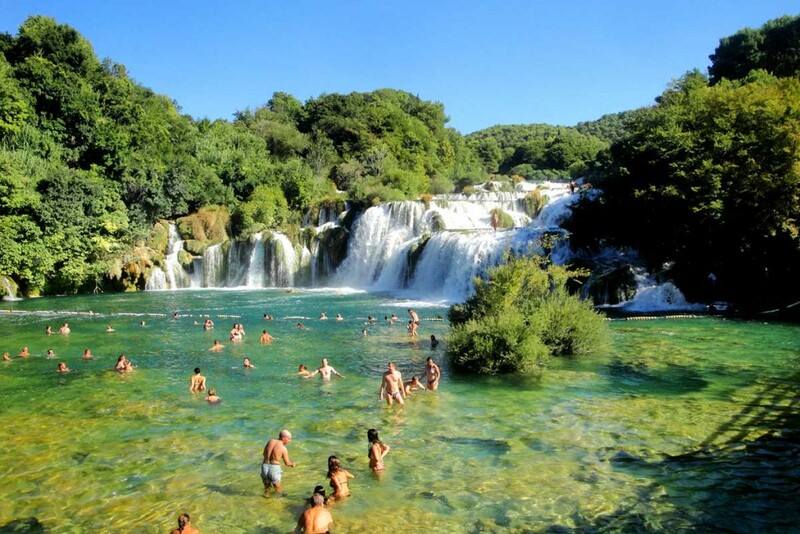 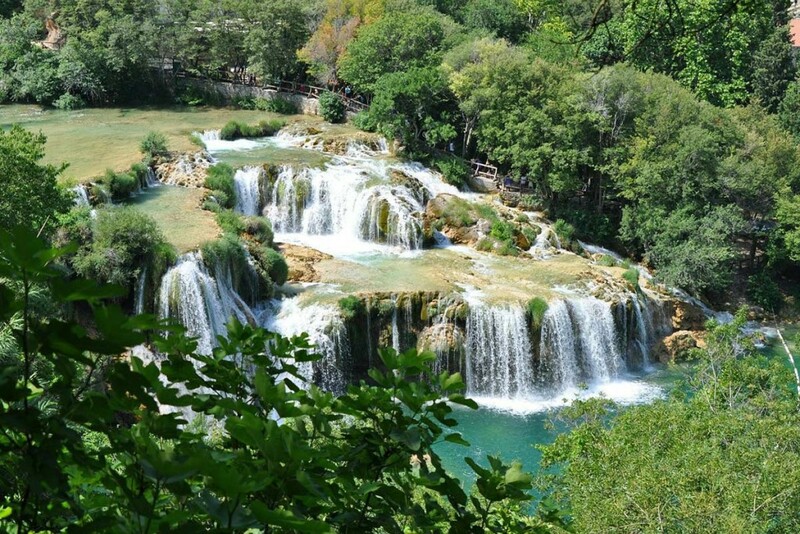 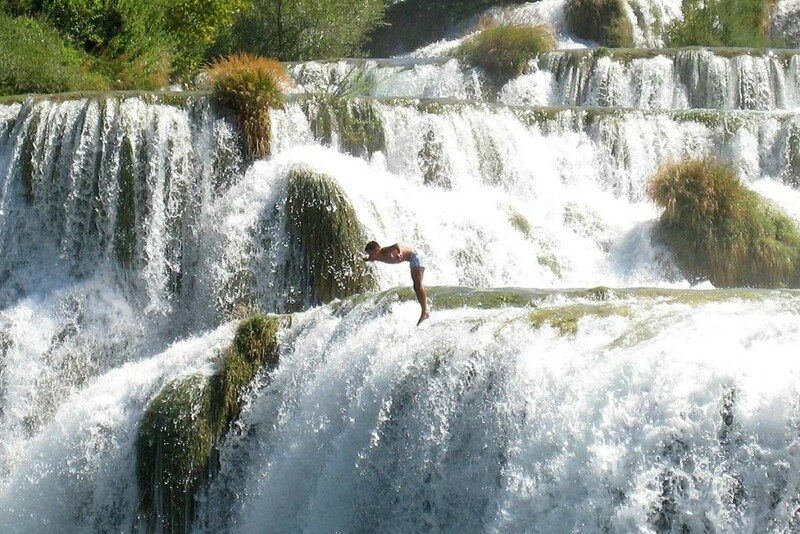 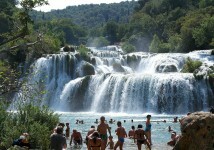 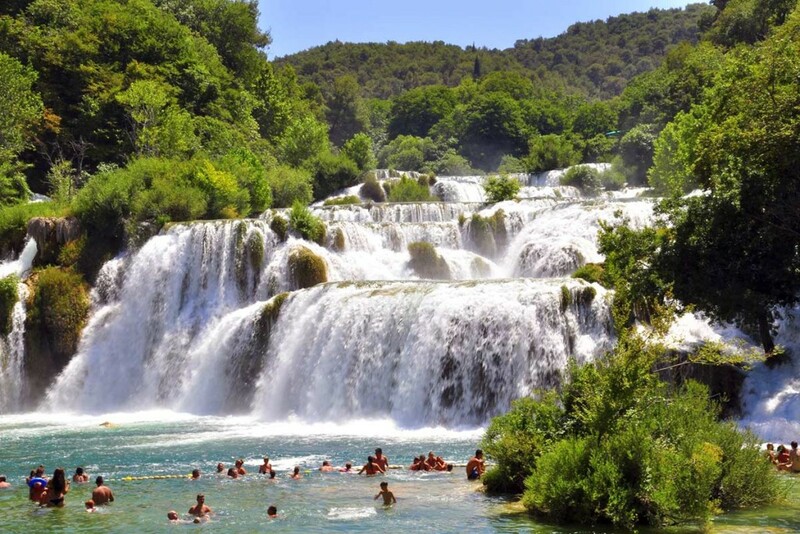 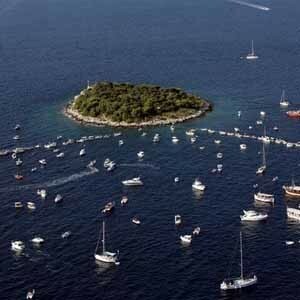 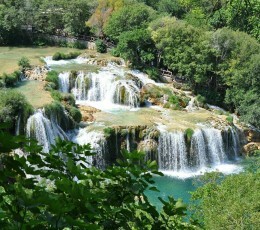 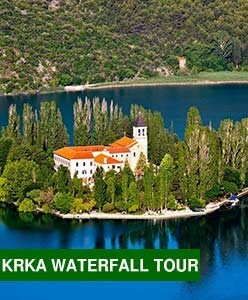 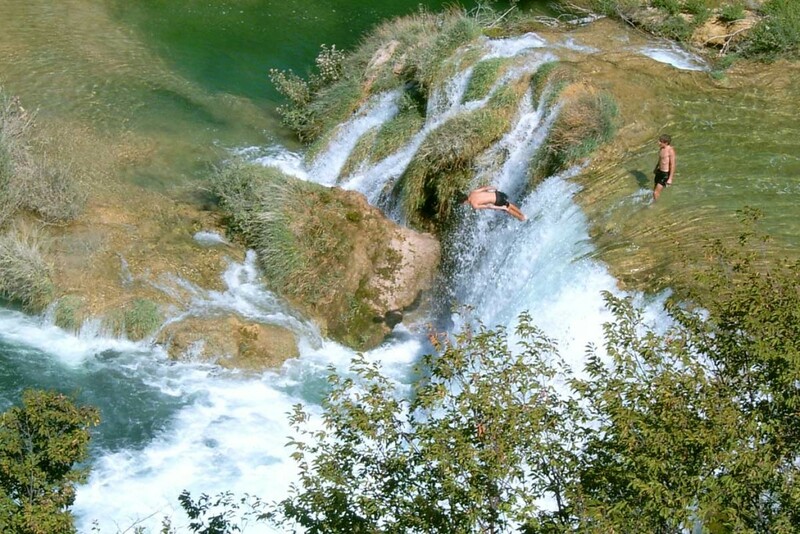 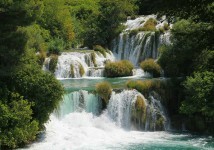 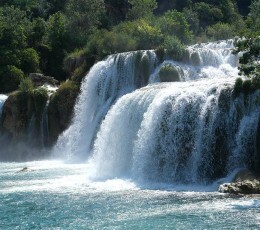 We are taking you to a Krka National Park. 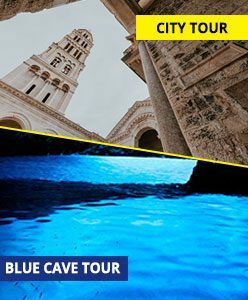 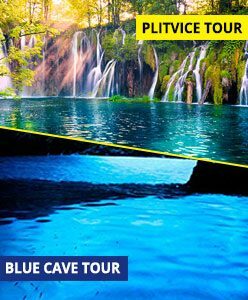 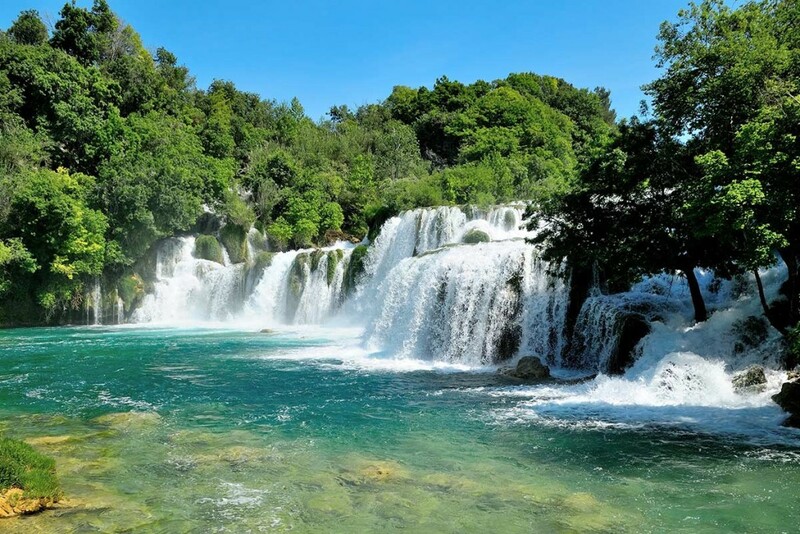 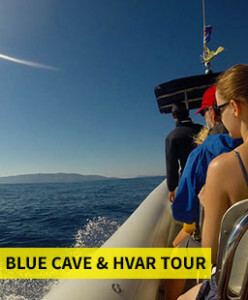 For only 27€ you have an opportunity to experience one of the best known Croatian attraction and be sure that we are not talking about „just another waterfall“. This place won’t stop amazed you when you realize that you can take a swim under this beautiful waterfalls. 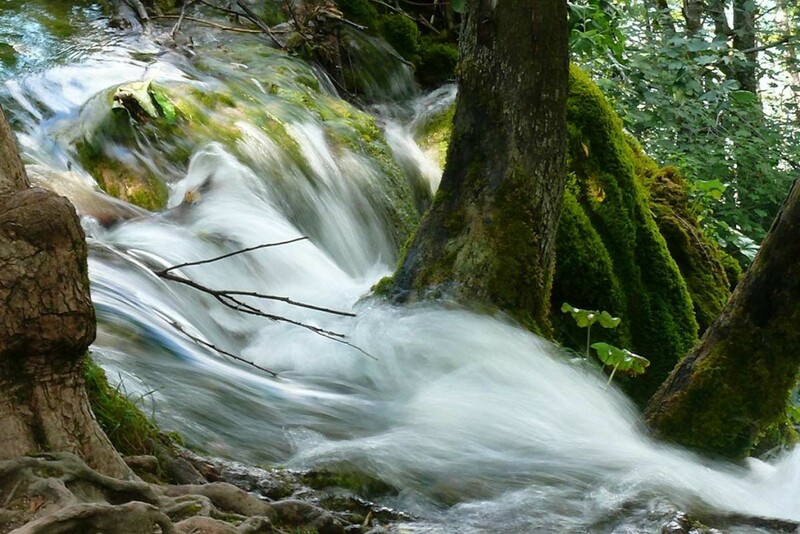 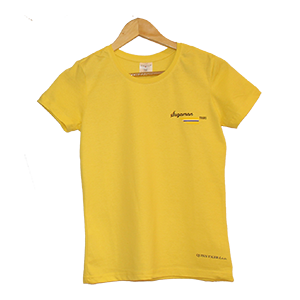 Escape from the city crowd and spend your day on a fresh air inside one of the most beautiful landscapes in country. 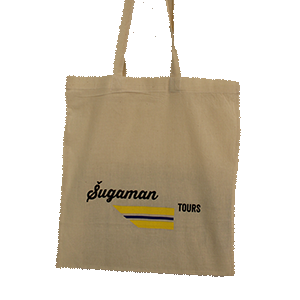 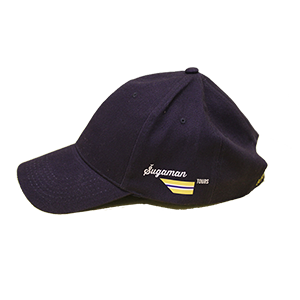 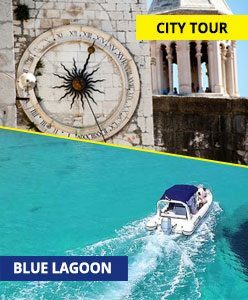 After check in in our agency in the old town on the address Dosud 4 our guide will excort you to the air conditioned bus and your journey can start. 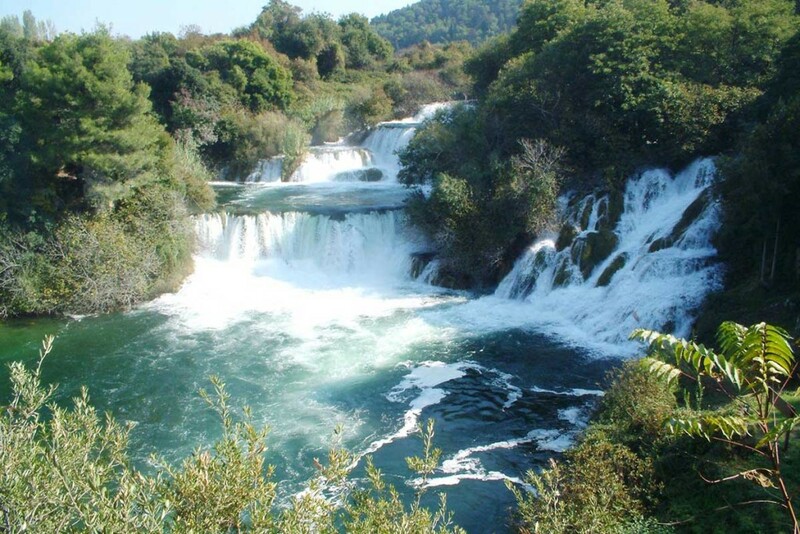 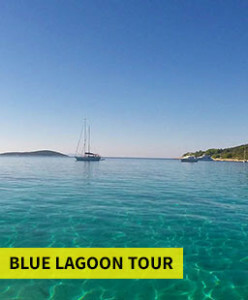 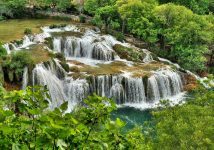 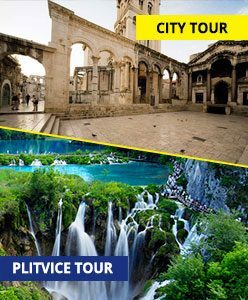 It is only short drive from Split to theKrka National Park which you will reach in no time as we cruise over the highway in our air-conditioned bus. 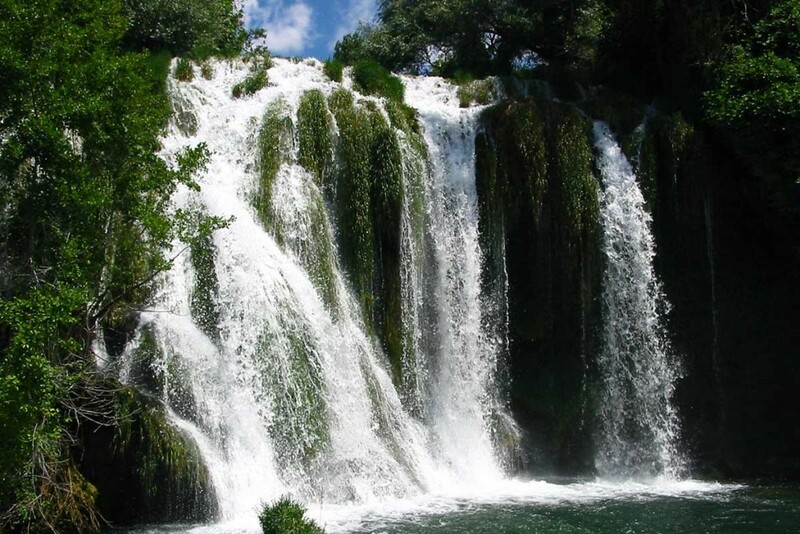 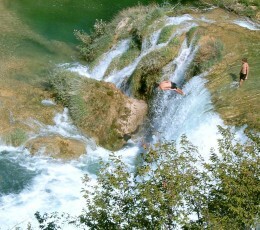 Upon arrival at the national park Krka you will immediately be introduced with the largest travertine system in this part of Europe – Skradinski buk. 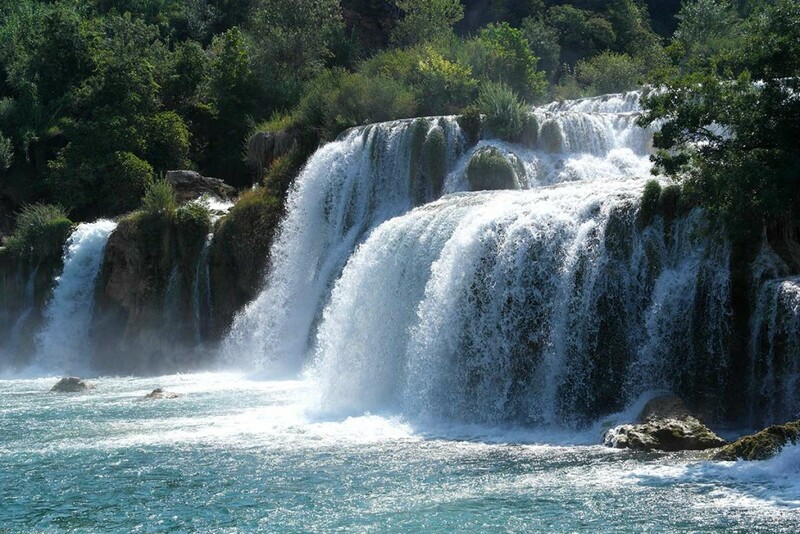 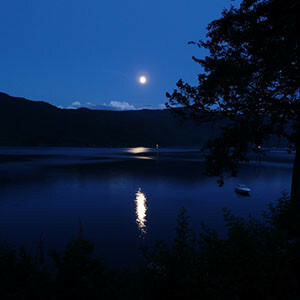 You will be amazed with picturesque tall trees, refreshing river and untouched nature. 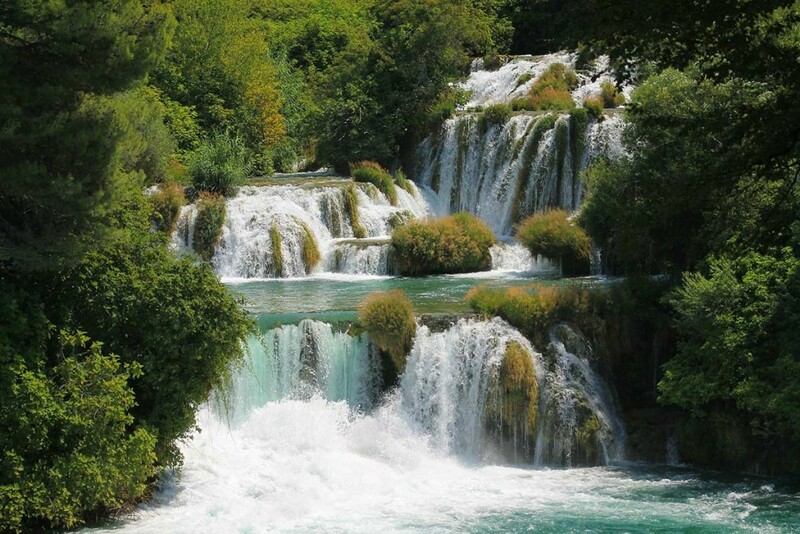 Make sure to charge your phone battery because this stunning area will leave you speechless. 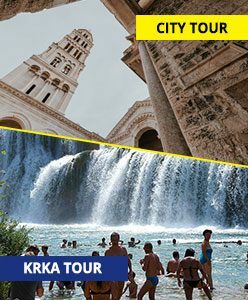 Before your free time inside the Park don’t miss the opportunity to walk along educational trails and learn more about cultural and historical heritage, flora and fauna and visit some of archaelogical and ethnological monuments. 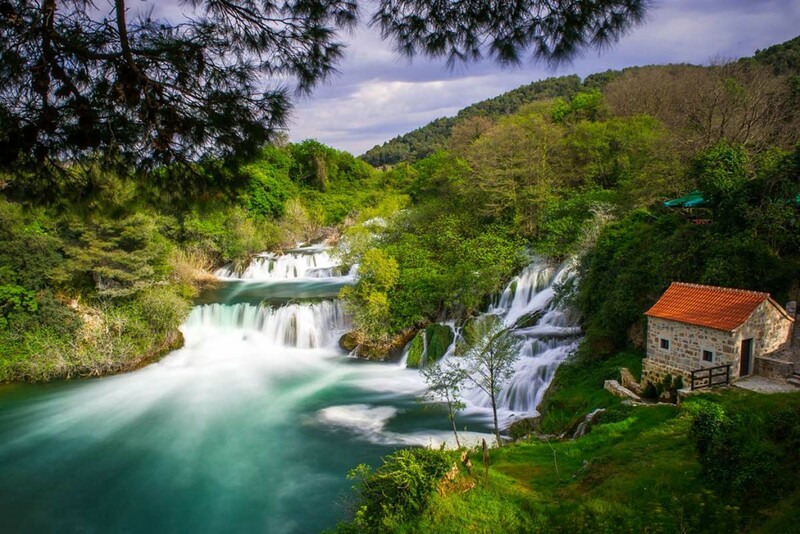 Wooden bridges and paths were built to make it possible to enjoy the Krka National Park from different point of views. 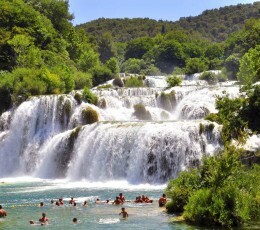 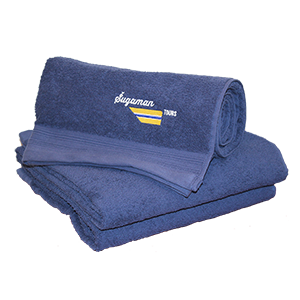 It’s time for swimming! 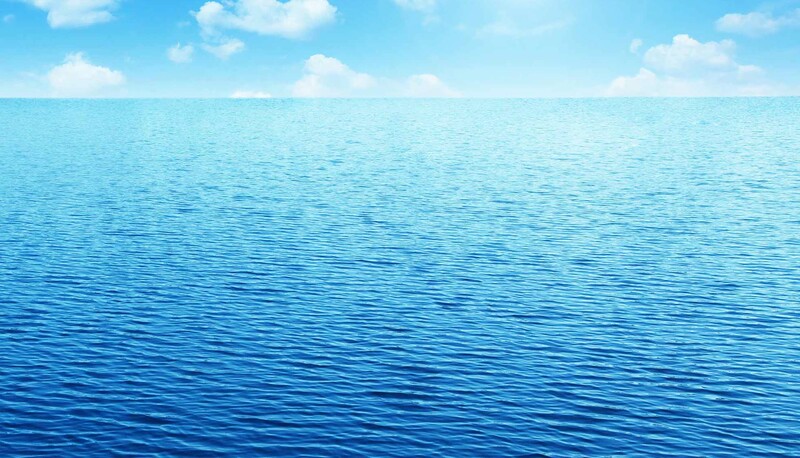 Our guide will point you to the marked area where swimming is allowed. Find your place on a large green area and enjoy your time. 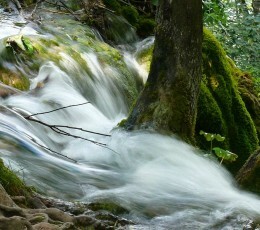 Immerse yourself with nature. 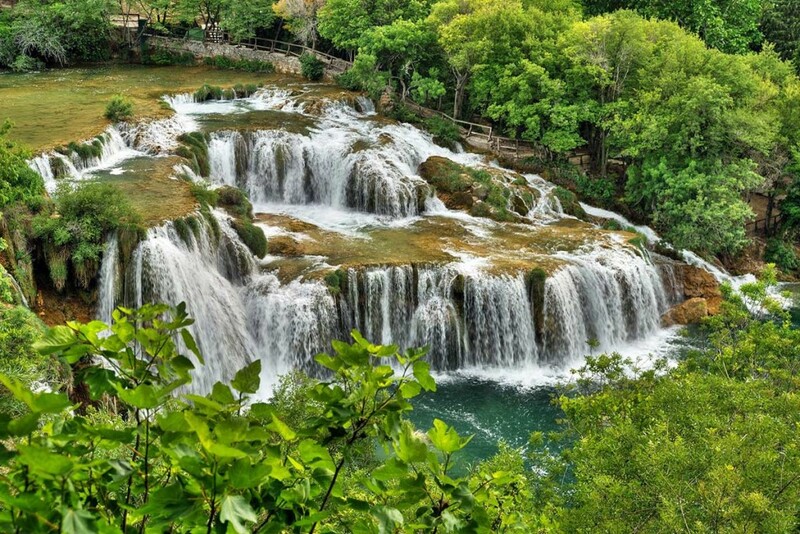 After exploring and swimming you might be starving so make sure that you save some time for lunch in one of dalmatian taverns surrounded by river and beautiful environment. 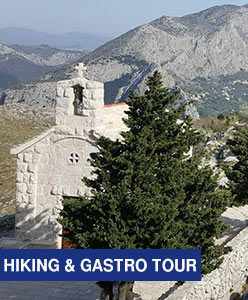 Taste one of the traditional meals before leaving the Park and returning back to Split.